Oh, I love Lamingtons! 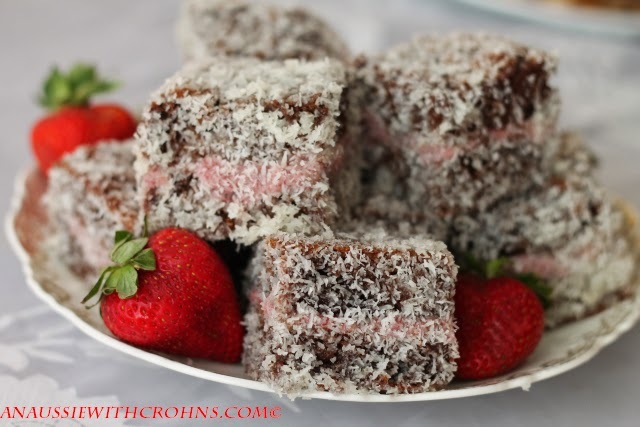 :) These are a chocolate variation of my White Chocolate Lamingtons. No, sadly they aren't suitable for people on the Specific Carbohydrate Diet as they include cacao powder. Anyway, these are delicious! 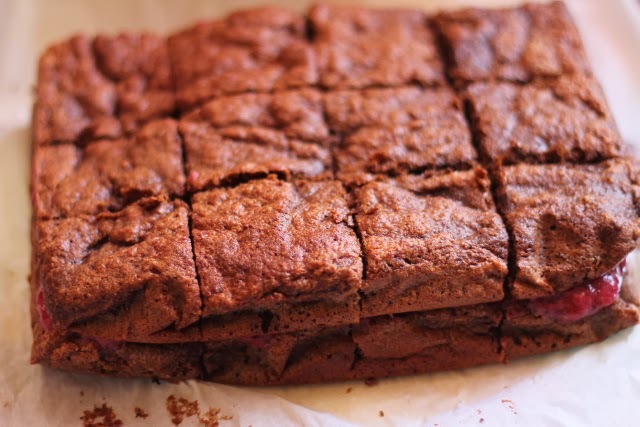 Very moist chocolate cake sandwiched with strawberry jam, rolled in coconut. Yum! Line a 24 x 30cm (base measurement) pan with baking paper. 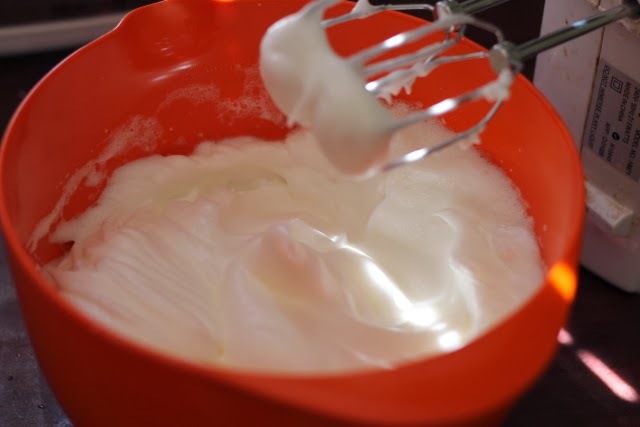 Beat egg whites with electric beaters until they form soft peaks. Add coconut flour, cacao powder and baking soda to yolks & honey and beat until well combined. Using a metal spoon, mix 1/3 of the egg white mixture into the egg & flour mixture. 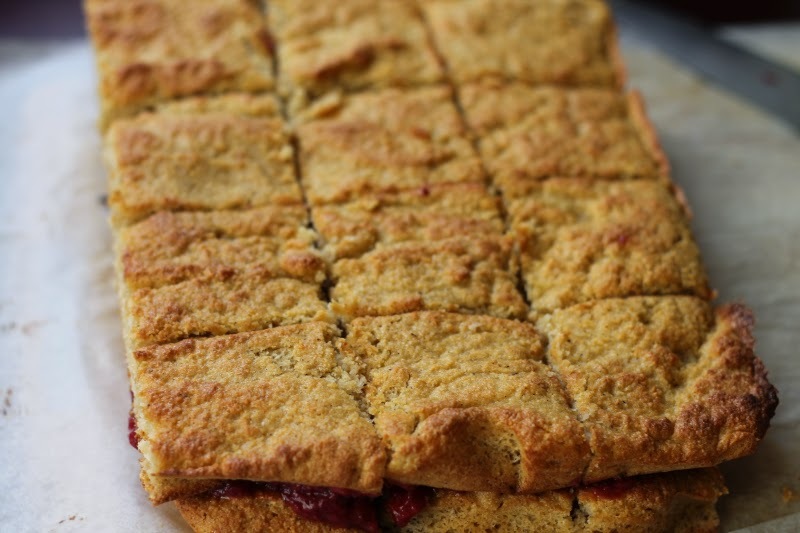 Spread into lined pan and bake for 15 mins.When cake comes out of the oven, lift it from the pan using the baking paper. Leaving the cake on the paper to cool. 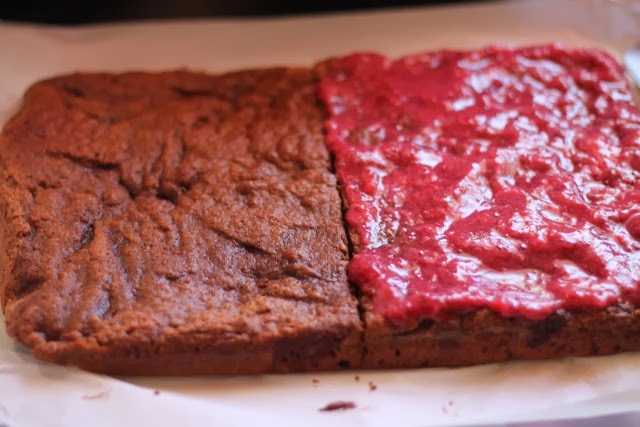 When cool, cut cake in half and separate pieces slightly. Cover one half with jam. Lift the other half of the cake and place on top. 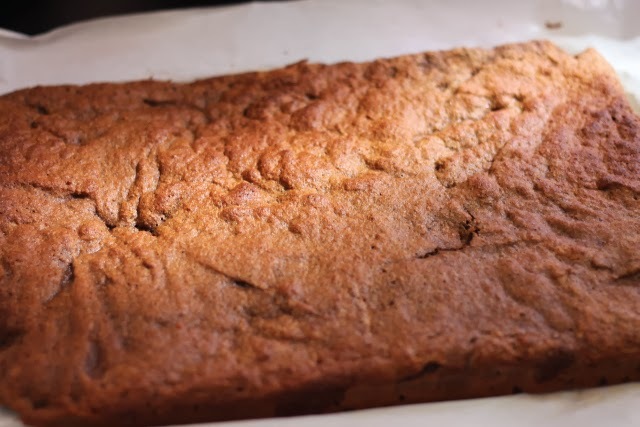 Cut the layered cake into twelve squares. In a small bowl, melt coconut oil and cacao butter in the microwave. Whisk in honey (tends to settle in the bottom of bowl, so whisk periodically). Put desiccated coconut into another small bowl. Then put into the bowl with coconut and turn so that all sides are covered. 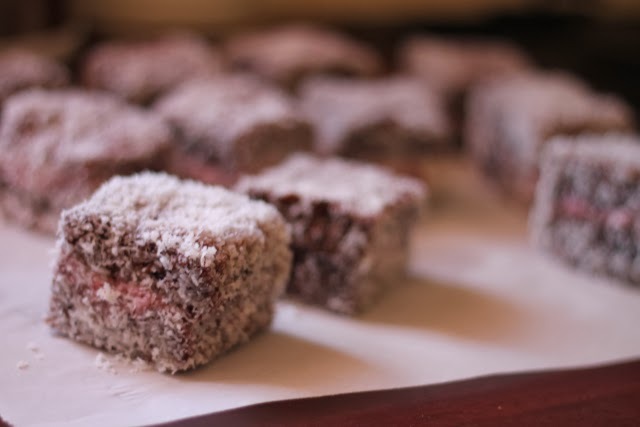 Put lamingtons onto baking paper to set. (They will stick to a plate at this stage).